For this month’s Freelancer of the Month feature we spoke with Valerie Skinner, a virtual assistant, writer, proofreader and audio transcriber based in France. Hi Valerie! Firstly, please can you tell us a bit about the nature of your business? Almost anything to do with English words! Currently my main clients are an international legal transcription company and a UK-based technical publication, but over recent years projects have included writing website content, travel guides, real estate and product descriptions and proofreading novels prior to publishing. I was a City PA for almost 20 years before moving abroad. When my son arrived, I needed to generate a more steady income to support us so went back to my roots. I joined several agencies and received a small amount of online work but was then also approached by several students at the University of Malta to help with the presentation of dissertations. They still contact me today. It’s the single mum thing. As I work from home, I’m here for the school bus, for sick days and school holidays. I still have to work but at least I am here if needed, and I don’t need to ask permission to collect a poorly child from school. The only solution to the pile of paperwork and accounting requirements of the French bureaucratic system is a very large jug of coffee and intense concentration every three months. Also there is a common misconception that freelancers are unskilled labourers who should accept minimum wage. When starting out I was faced with this constantly, but since establishing a small client base I earn enough to cover living expenses. It does involve long hours, 24/7 availability and an inability to spend much quality time with my little boy, but hopefully over time that will improve. To be honest, I don’t promote it anymore. I receive requests from the University students through word of mouth and my other clients are ongoing so there is currently no need. My English laptop. I live in dread that one day it will decide to go to Techno Heaven and I will have to relearn everything to be able to work on a French keyboard. What do you enjoy doing when you’re not working with words? Tormenting my child by surgically removing him from the PlayStation so that he will walk the dogs with me. He refuses to believe that we do actually need to get out of the house sometimes. Work out exactly what your strengths are and promote them. If you provide what you promise and you provide it well, with luck you will establish ongoing relationships. Unless you possess a unique skill that commands a high rate, be prepared to work long and hard to make ends meet. The absolute upside is that at least you can do it in the comfort of your own home. 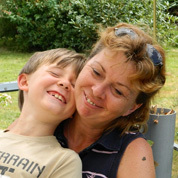 Valerie Skinner is a freelance proofreader, virtual assistant, writer and audio transcriber based in France. For more information on Valerie’s services click here to view her Find a Proofreader listing. This is an advertisement on behalf of one of our advertisers, Cactus Communications, Inc.
To apply: Please email your CV along with a cover letter to freelancepositions@cactusglobal.com. In this month’s Freelancer of the Month feature we spoke with Hampshire-based proofreader and copy-editor Louise Lubke Cuss of Wordblink. Hi Louise! First of all, can you tell us a bit about the nature of your business? I provide proofreading and copy editing services to publishers, proofreading for students, and in many other cases, proofediting, a combination of proofreading and editing! I also do some work for charities, and edit articles for a Hampshire “women in business” magazine. I have done some proofreading and editing for self-publishers and am keen to learn as much as I can about this growing area. I have a very varied career history including sub-editing on a daily newspaper, a disastrous attempt at teaching, and many years working with government grants to businesses and the charitable sector. I started the Publishing Training Centre’s Basic Proofreading course when I was on maternity leave with my second child, awaiting redundancy from my public sector job. Apart from the looming redundancy, I knew I needed to make a change to something more flexible as my older child was starting school. Luckily I found proofreading, which I didn’t know existed (as a separate occupation from editing) up to that point. Since completing that course, I have done several others with the PTC and Society for Editors and Proofreaders (SfEP), and also completed the SfEP’s mentoring programme, which I would highly recommend. The mentoring programme really gave me the impetus and self-belief that I needed to carry on, as I hadn’t had much “real” work up to that point. The fact that I am doing what I really want to do – working with words – and really should have done this years ago! This is exciting but can also be daunting. When you are starting out, there are so many things to consider, and it’s easy to put out feelers in too many different directions at once. While you don’t want to specialise too much in the early days, you do need to keep focused and try to gain experience in a few areas before diversifying too much. For example, I am promoting myself primarily as someone with experience in proofreading/editing horticultural and environmental books, as that is my predominant experience to date. I have been very lucky to find work in this area, as I really enjoy it and know a bit about it. I am also planning a blog on this subject. While it can be difficult starting out, and working alone can feel isolating, I find meeting with my local SfEP group and, informally, with two proofreader/editor friends (you know who you are!) very helpful. While it’s brilliant to be able to get advice from more experienced SfEP people, comparing notes with those in a similar boat has been invaluable to me. I am on a lot of directories (including, of course, www.findaproofreader.com!) and also send emails and letters to prospective clients. I always ensure I have a name which usually entails making a phone call. I have dabbled with networking and have obtained some work and useful contacts through it. It can be off putting if most of those attending don’t appear to have any interest in your skills, but you never know who they might know who is writing a book or pulling together a massive report. The key thing is to find a networking environment that suits you and that you feel comfortable with. I am on Facebook, Twitter and LinkedIn too, and find Twitter the most useful by far in terms of the resources and useful articles it pinpoints for me, particularly in the self-publishing arena. The challenge with all these things is to keep your profile up to date. I have recently started advertising to students needing proofreading of dissertations. I am acutely aware that there are a huge number of new entrants to proofreading/editing, as evidenced by the vast increase in associates of the Society for Editors and Proofreaders, of which I’m now an ordinary member. I think this is very much a sign of the times, with the massive redundancies that have been made across the UK (and was certainly what prompted my career change). I was determined to upgrade to ordinary membership of the SfEP as soon as I could to give myself some professional confidence, particularly when approaching publishers for work, although I realise that experience is also vital. Without contacts or a work background in publishing, however, it was important to me. It also crystallised the view that I needed to have some specialised areas I worked in rather than being generalist, so I do try to make this my focus when marketing myself. Can I have a few? First, my erasable pens. They make proofreading on paper so much easier because you can erase your pen marks if you have changed your mind, without the mess of correction fluid! I am also a new fan of Klok for keeping track of my time on jobs, and my indispensable spreadsheet that keeps a record of all the work I’ve done, how long it took, word and page count and fee earned, as this informs my quotes for future work. I’m a complete bookworm, and my current obsession is with travel memoirs, particularly those set in France. Unsurprisingly, I enjoy holidays there too. I am trying to get fit and am currently enjoying a walking to running app which is motivating me to exercise – amazing to recount. I occasionally knit (nothing fancy) and enjoy baking with my children. Difficult question, as I have a few. Not long ago I read Le Grand Meaulnes by Henri Alain-Fournier, which I loved. It was very atmospheric. Get as much training under your belt as you can afford, with the industry-recognised providers. Volunteer to gain experience, preferably in areas you are already interested in or knowledgeable about. Obtain as many testimonials as you can and then you can showcase your work and market yourself with more confidence. And don’t give up – it takes quite some time to get established and I am still on that road. Louise Lubke Cuss is a freelance proofreader and copy-editor based in Hampshire, and she runs Wordblink. For more information on Louise’s services, please visit her website or click here to view her Find a Proofreader listing.